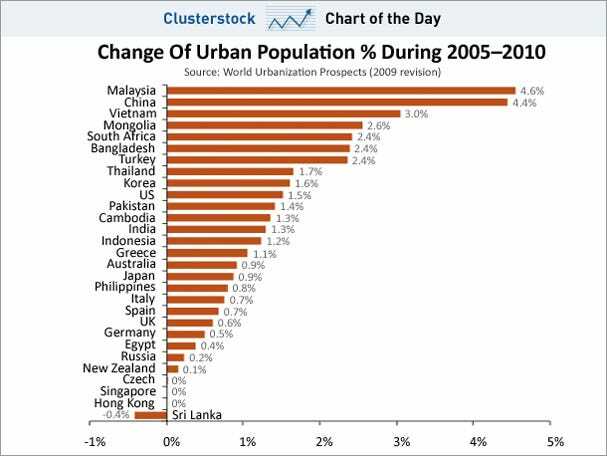 Urbanization is obviously one of the big trends in the emerging world, and no country is as synonymous with urbanization as China is. 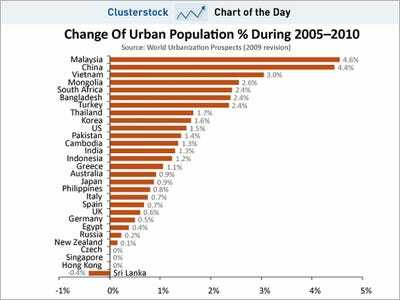 The only country urbanizing faster? Malaysia.